for Fall is the Cardigan... the perfect garment for transition of season. I can feel Fall coming, for the last few mornings, the temps have been in the low 60s, compared to the usual 70s. That's a clear sign Fall is coming.... so its time to sport the essential element.... the Cardigan. As we all know, the Cardigan is an essential element for any wardrobe making it a versatile piece. With that who can resist a garment that can be worn as a traditional classic, casually or to accent an ensemble. 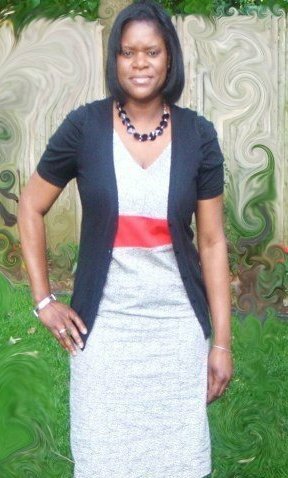 Prior to 2009, I avoided wearing cardigans and defaulted to structured garments. Often than not, I found myself struggling to pair the right cardigan with my ensembles and my futile attempt would leave me looking like Mrs. Doubtfire. Do Cardigans play a role in your wardrobe? Do you prefer solids over print cardigans? I am a life-long devotee of the cardigan; the grannier the better. No prints though, just neutral solids. Not a cardigan wearer, given the humidity here, but yours look awesome. I can't belt anything, for some reason, maybe the wide hips? I'm more into the cropped shrugs. Thanks for all those links - I feel so much hipper for having read them! It's interesting to read your post because I've been a strict cardigan girl for the last couple of years. I've worn them short, long, cropped...u-necked, v-necked...prints and solids and sometimes both mixed. I've purchased them and sewn them. I've amassed an amazing collection of them in all colors and now I'm moving back to jackets. A softer, less structured jacket but a jacket just the same. So this is interesting to me that you are moving in one direction while I'm going in the other! Interesting post,your photos showed your evolution. I was a jacket person and in the last two years I've evolve from jackets to cardigan. Great post! You look great in your cardigans but I laughed when I saw Mrs. Doubtfire in your post, that is exactly how I'm afraid I look wearing a cardigan! For that reason I am usually a jacket person. I need to go back and read your links and improve my cardigan know-how. Hi Adelaide and Thanks for commenting. Hi Sister and glad you enjoyed the links. Hi Carolyn and Thanks for commenting. 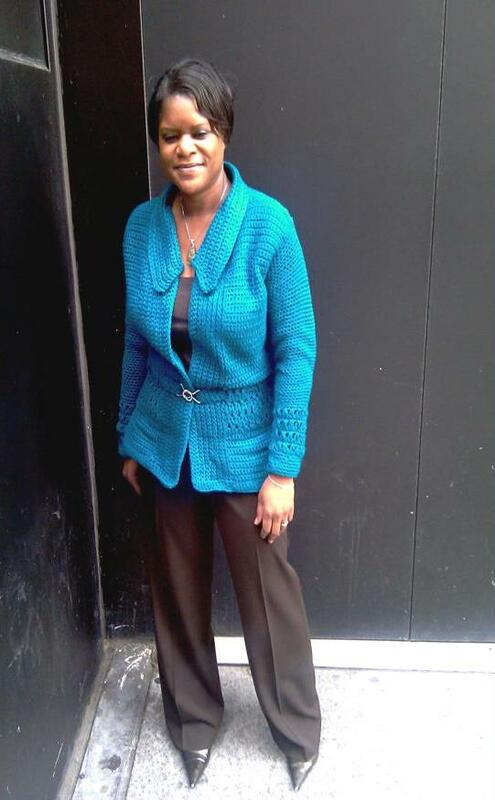 I still wear blazers, more often than not and had fun this summer sporting vibrant colored ones. With the cooler temps its feels good to change it up a little and sport the cardigans. Hi Alethia and Thanks. Incorporating cardigans into my wardrobe has provided me a variety of fashion options and that's a beautiful thing. Hi Angela and Thanks. One of the things I have not mastered yet is the dress/cardigan combo. I realized that a dress + cardigan = doubtfire on me. 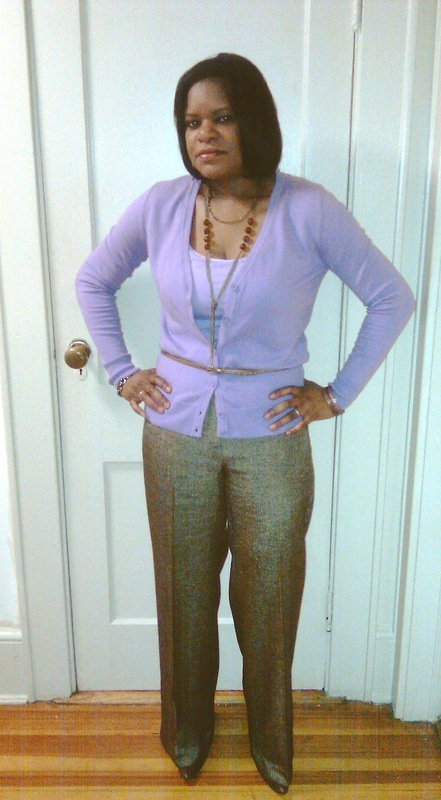 So I default to pairing blazers with my dresses and leave the cardigans for my slacks and pencil skirts. Hi Sheila, I'm a huge fan of the tailored cardigan, having scooped up a couple for fall just today. I find that I can only wear crew necks as standalone tops. If you look at all of your awesome looks you'll see they're all v-necks. I think that's the ticket to get-out-of-dumpyland. I also have a couple that are a little shorter on my body, hitting at high hip, that seems to be a sweet spot when layering over dresses. Hi Tina and Thanks. You are on to something, looking back at the pics and clearly seeing it. Thanks again. I stopped in target Thursday and saw a few cardis I wanted, grabbed them up, only to head to the register and the lines were insanely long and decided another time would be best. I'm a cardi lover so I had to answer your questions.
. Yes cardigans play a big role in my wardrobe, but I never can get my hands on just the right colors. I love the classic - which I call a jeweled neck cardi, but I'm also partial to all the others too. Kinda like the boyfriend which I only have a dark brown one, but I really do like it. I don't feel comfortable in cropped ones, 3/4 sleeved ones or shrugs for that matter.
. I prefer solid colors but I do like print ones too.
. I like wearing them single buttoned, or open. I love the belted cardigan look too, but feel stuffed when I attempt that. All in all, can you tell I'm a real cardi lover? I really, really want to love cardigans. But I am having a hard time making the traditional cardi look right on my full bust. It meets at the neckline and then gapes wildly from then on. If I make it to fit the bust, it looks big and unattractive. The only cardigans I've made are S2603 and S2560. I can wear those comfortably. I'd like to copy some of your looks, but I have concerns. Great post, I love cardigans! I actually wear them year round as my office is freezing especially when it's hot outside. I like jackets/blazers as well but wear cardigans more frequently. Hi Faye and Thanks for commenting. Yes, I can tell you are a cardi lover. I have a few boyfriend cardigans which are a bit too long for my short frame. That style I tend to wear with leggings and boots. Hi L and Thanks for commenting. Being a large bust was one of my issues and tend do the one-button closure to avoid the boxy look along the torso. Hi Levone and Thanks for commenting. I use cardigans as a work layer. When it's really cold, I can couple my cardigans with tailored jackets. And they add colour when the rest of my look is corporate. I LOVE my cardigans! I'm a bug fan of boyfriend fit in solid colors. Right now I have a fuchsia one that looks fabulous with everything and I wear it all the time. I think my current uniform is maxi skirt with a tank and boyfriend cardi. Beautiful sewing. you style your garments very well also. As always. Very nice post. I too view cardigans and jackets as what-the-rest of the outfit revolves around. I see cardi's and jackets as almost the same thing except jackets tend to be more precise. Cardigan is part of my wardrobe and I like it plain.